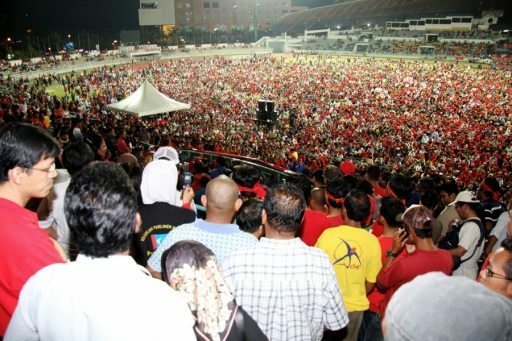 KELANA JAYA, SELANGOR – THOUSANDS of Malaysians yesterday staged a rally ostensibly against inflation, but the turnout was prompted just as much by bitter political bickering that has upset many. Trade unionists in South Africa have been taking to the streets to protest at the rising costs of fuel and food. 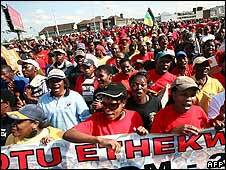 The day of action in Kwa-Zulu Natal and Western Cape provinces was organised by the Congress of South African Trade Unions (Cosatu). High gas prices have severely affected the world around us, making everyone’s commute more costly, goods more expensive, and life’s commodities reach prices never before known. It’s hard for us all, but for some, it’s worse. 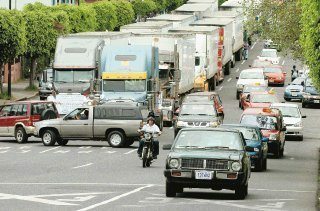 Indeed, Costa Rica’s fleet of commercial truck drivers have been feeling the heat, and yesterday, they decided to do something about it.